Independent Children's Lawyer, Who are They and What Do They Do? Family Law Glossary: Independent Children's Lawyer, Who are They and What Do They Do? Dealing with family law can be both extremely confusing and extremely stressful. It can be a necessary evil for families in Sydney’s Inner West, and around Australia, to go through, but if you can understand some of the terms that come up in court, the experience can be just that little bit easier. One of the most confusing terms is ‘independent children’s lawyer.’ Sure, it may seem self-explanatory, but it’s a whole lot more complex than it’s simple name suggests. 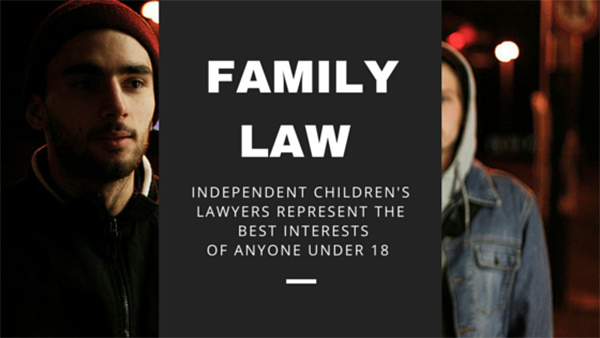 In its simplest terms, an independent children’s lawyer is a lawyer who represents the child’s interests in court proceedings – whether they match up with the parent’s interests or not. This independent children’s lawyer can be appointed either by a party involved in the case, or the court itself if they feel it’s in the child’s best interests that they’re represented separately from their parents or guardians. It’s important to realise that the independent children’s lawyer is not the child’s representative, and they don’t have to do what the child tells them. With the evidence available they are expected to act in the best interests of the child, and they must act in this manner, even if the parties haven’t reached an agreement. In essence, it’s all about getting the best result for the child.